We all know the horror stories of sitting on the phone with an insurance provider for hours and getting zero results, or submitting a claim and waiting weeks, or even months, for a resolution. 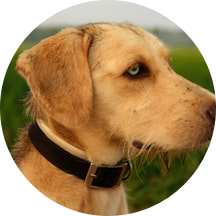 It is for these exact reasons that the providers of Hartville Pet Insurance have worked to create an experience that is fully electronic, simple, and quick. They also understand that for many, pets are children and important to the family unit or the beginning of a family like a human child can be. They have also developed a modern insurance experience that seamlessly fits into the life of an active, on-the-go pet parent. They have broad coverage at affordable prices, and customers love that they don’t require you to be part of any network. 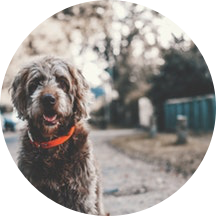 Hartville Pet Insurance is an efficient and mobile insurance solution for those who don’t want to waste time on “hold” and want to get back out with their beloved furry child as quickly as possible. 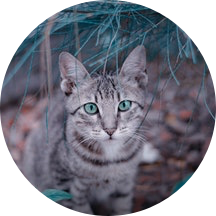 Hartville Pet Insurance understands that pets are truly a member of the family, not just an animal, and they have built a great system for pet parents to be able to maximize insurance benefits, without an overburdensome cost. In addition to the staples of a good policy—hospitalization coverage, accidents, injuries, illness, cancer treatment, etc.—they also offer fantastic preventative coverage and don’t force pet parents into a “network,” which helps escalate them from good to great. For a full list of exclusions see their sample policy. 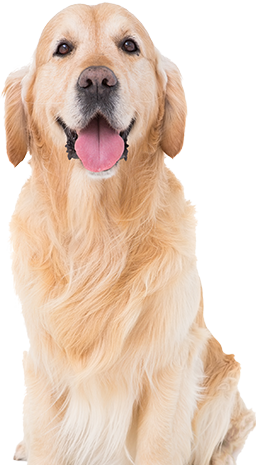 The Hartville Pet insurance program understands the need for customer involvement in creating an ideal policy so that a pet parent can have peace of mind their pet is covered. Hartville has a wide array of deductibles, limits, and reimbursement options to ensure each pet parent can get what he or she needs. Reimbursement options can be in amounts of 70%, 80%, or 90%, and annual policy limits range from $5,000 to unlimited. Deductibles are set per year and can be chosen from $100-$500. How much will I get back from Hartville? Your dog develops a kidney infection and the vet bill includes lab tests, one night stay for observation, and then expensive medicine to cure the infection. Total, covered costs $2,940. If you have a deductible of $100 and a reimbursement rate of 80%, you can expect to get back $2,272. After taking your dog to the vet for a bad limp, it is determined she needs ACL surgery to fix a severe tear. The surgery plus the pain medicine after is going to cost $8,445. If you have a $250 deductible and 90% reimbursement, you will get back $7,375. Your cat ingests a parasite that requires a 3 night stay at the pet hospital and a stomach pump that costs $5,675. Thankfully, with ASPCA Pet Health Insurance you have a $250 deductible and an 80% reimbursement rate, meaning you will get back $4,340. How much do Hartville Pet Insurance plans costs? Well as you may imagine, the cost of pet insurance depends on a few key variables: the breed of your pet, their age, and where you live. After that, it’s down to you how much coverage you want, how big (or small) a deductible you want to pay and how much of a reimbursement (the amount you get back after the deductible is paid) you select. What do pet owners say about Hartville Pet Insurance? In terms of reviews, customers love how Hartville has created a modern insurance experience and understand the importance of being a pet parent. They have an average review score of 4.8/5. See reviews from Hartville customers below. Very good, tech savvy company. Hartveille understands how important it is to be up to date with a tech platform. I’m a programmer and I hate when I go to other websites that are clunky and not easy to figure out. Hartville has everything that youre going to need online so no waiting for paper hassle. Love that its all electronic. I took my dog on a road trip last month and he got injured when we were hiking, thatnkully everything with Hartville is all online so I didn’t have to worry about not having his “papers” or knowing his insurance number or something annoying like that, was able to walk in to a vet and get him treated. Mobile insurance—I’m down. They take care of your furry kids! I love that Hartville views pets like kids just the way I do. Right now, thwyre my babies and having good insurance for them is just as important as my own! They ve got you and the fur babies covered! Hartville knows that shopping for insurance and submitting a claim has always been considered a struggle. That’s why they worked diligently to create an insurance experience that is hassle-free and entirely paperless. Their claim submittal process is simple and efficient with everything online and in one place. 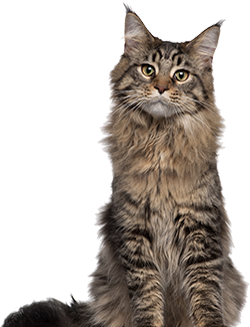 Hartville also understands the importance of needing insurance to be as mobile as we are, so they do not restrict you and your pet to any network—you can see any licensed vet, at any time. Along with their easy-to-use online system, their policies cover all the latest and most advanced care in veterinary medicine to help keep their pet an active member of the family for years to come. Pre-existing conditions are not covered. Waiting periods, annual deductible, co-insurance, benefit limits and exclusions may apply. For all terms and conditions visit www.hartvillepetinsurance.com/terms. Preventive and Wellness Care reimbursements are based on a schedule. Complete Coverage℠ reimbursements are based on the invoice. Levels 1-4 reimbursements are based on usual and customary eligible costs. Products and rates may vary and are subject to change. Discounts may vary and are subject to change. More information available at checkout. Products are underwritten by the United States Fire Insurance Company, produced and administered by C&F Insurance Agency, Inc. (NPN # 3974227), a Crum & Forster company. C&F and Crum & Forster are registered trademarks of United States Fire Insurance Company. Crum & Forster Pet Insurance Group™ is a trademark of United States Fire Insurance Company. The Crum & Forster group of companies is rated A (Excellent) by AM Best Company 2018. © Compare Pet Insurance Services Inc. All Rights Reserved.